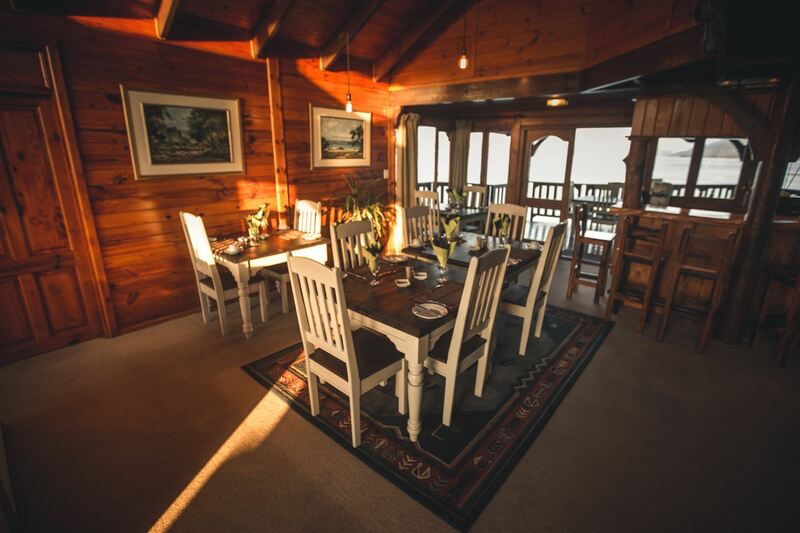 Surrounded by the Knysna Lagoon with a spectacular view of The Heads, This intimate, Luxury lodge can sleep up to twelve people and offers a variety of flexible accommodation choices. 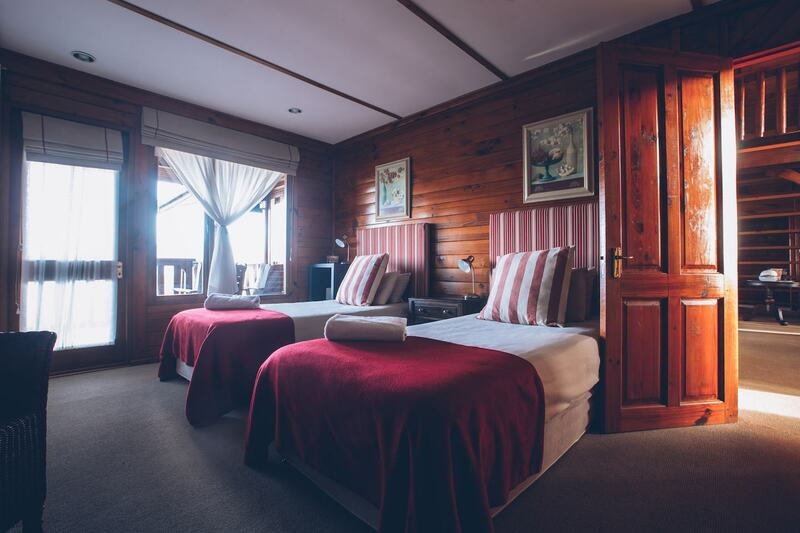 Operating as both a bed and breakfast and self-catering facility, the lodge consists of five Luxury suites and one self –catering unit. 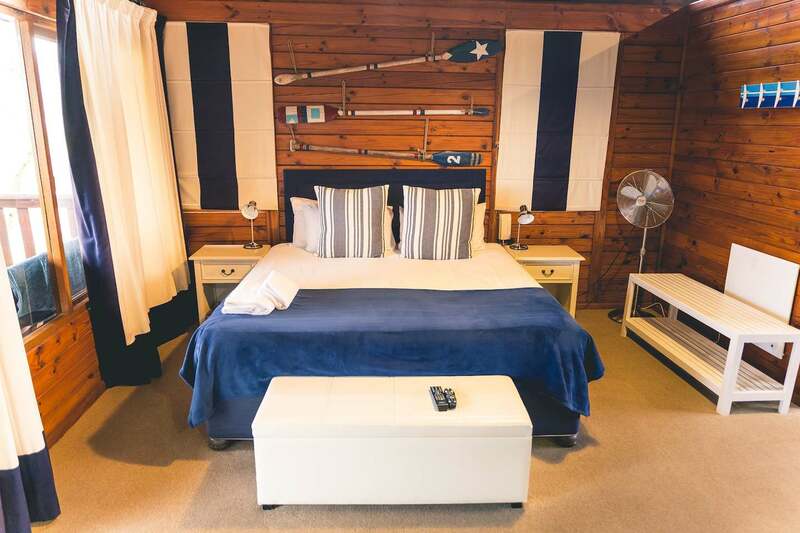 All of the lodge’s suites (one twin, two double rooms, one queen and luxury suite) are lagoon-facing and open onto the balcony, which includes our loft double bedroom. 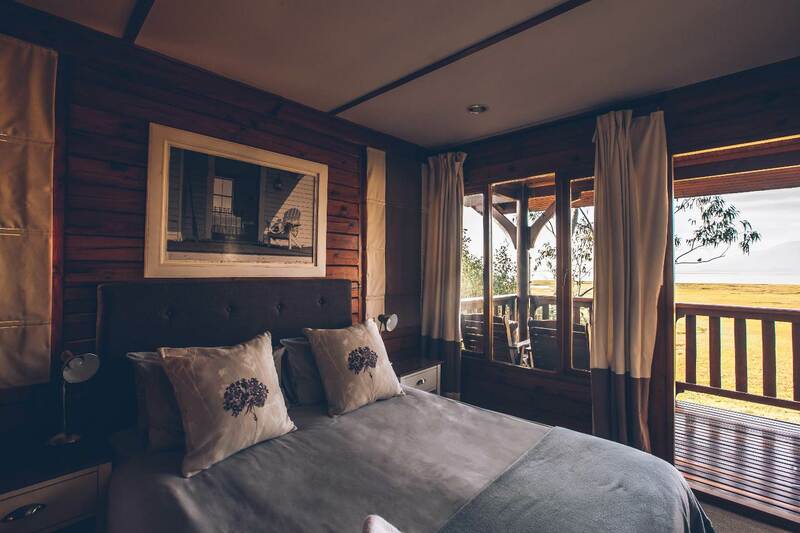 This intimate, luxury lodge is located between Port Elizabeth and Cape Town in the area called the Garden Route of South Africa. The Luxury Suite, Loft Suite and Double Suite are all ideal for honeymooners, international and local travellers wanting to relax and enjoy the magnificent views of the lagoon which all adds something special to your luxury experience and help to make memories that you will never forget. 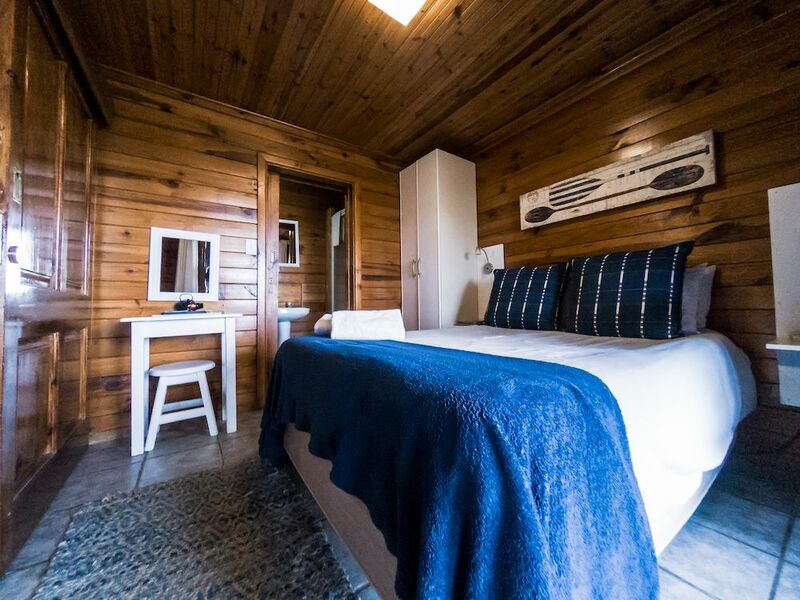 The inspiration for the Lodge’s decor is largely drawn from the surrounding natural beauty of the Knysna Forest and is exactly what one would come to expect from our four-star Tourism Council and AA Superior accredited lodge. 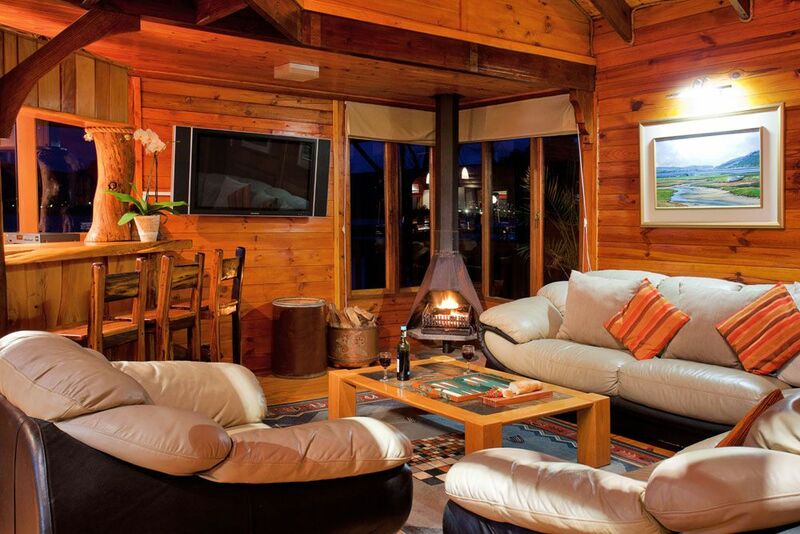 Spend your evenings lazing around the fireplace, or enjoying a traditional South African braai. Our communal lounge area is equipped with a plasma screen TV and DSTV for all movie and sports channels. All rooms have TV’s and DSTV. 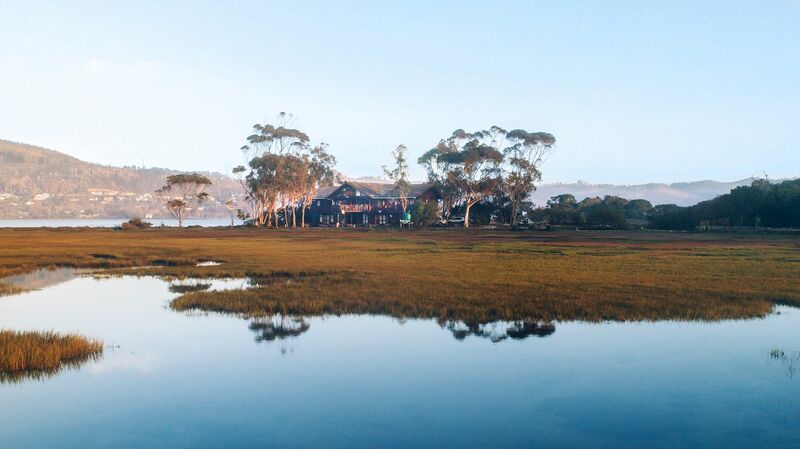 Oyster Creek is known for its genuine South African hospitality. Start off the day with a selection of fresh fruit, yogurts and cereals. Or enjoy a traditional breakfast of bacon, sausage and eggs served with a choice of juices, coffee or tea. "Very friendly staff, beautiful accommodations. No complains. Thanks Gerhard! "Lovely location, very restful & great service. Gerhard is a great host & nothing is too much for him. Will be back!" "We had the honeymoon suite. It's spacious and have a great view. Great hospitality from a very friendly staff. "Very nice place to be"
"The Lodge is outstanding. Amazing view into the bay of Knysna, very gentle and helpful landlord. We had 3 wonderful days and will come back." 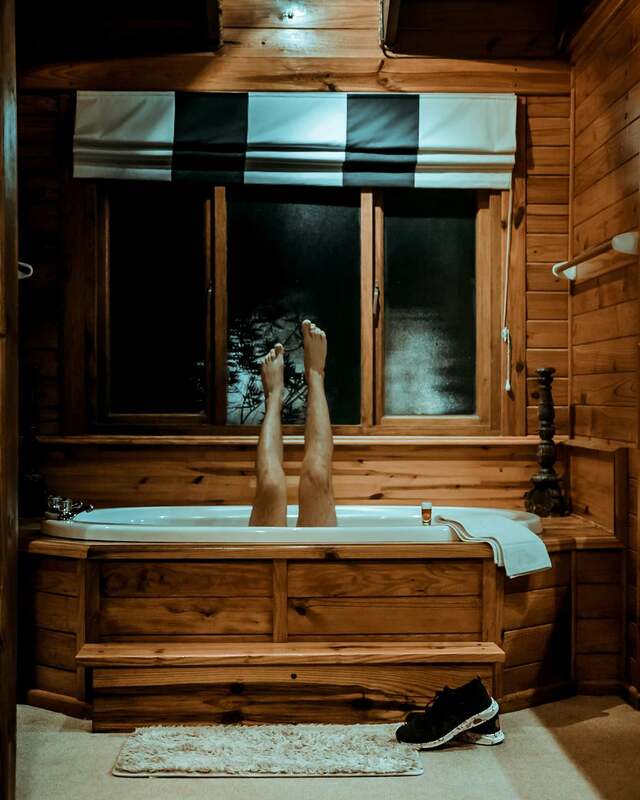 "The lodge was very quite and neat, the owner and his staff are indeed very friendly people and informative about the city in terms of what to do and where to go. I will off-course visit the lodge again.Ê"
"We stayed for 3 nights over the Easter weekend. Beautiful location, very comfortable rooms with fantastic staff. Nothing was too much trouble and we felt highly relaxed and very well looked after! Thank you to Gerhard and his team for a lovely weekend away. Would definitely recommend and stay ag..."
Thank you to Gerhard and his team for a lovely weekend away. Would definitely recommend and stay again in the future! "We had booked the loft over weekend 12-14.02.2016 which is a sizable room and has a great view. Unfortunately there is no private bathroom. Bathtub is in the room and no shower facility unless you use the hand shower and wet the carpet. Breakfast is served between 08h00 and 09h00. This is early ..."
"Wonderful host. They really went out of their way to make my stay comfortable. The rooms were perfect it had everything and more fully equipped and spacious. I honestly cannot complain about this establishment." "PLESANT TREEHOUSE STAY...TOOK ME BACK TO MY CHILDHOOD"
"A lovely stay, in what I can describe as a large tree house in a beautiful location. Took me back to my childhood. Rooms were clean. Like the added touches in the room. Had a lovely breakfast, couldn't do the large spread justice. Esther was a wonderful host." 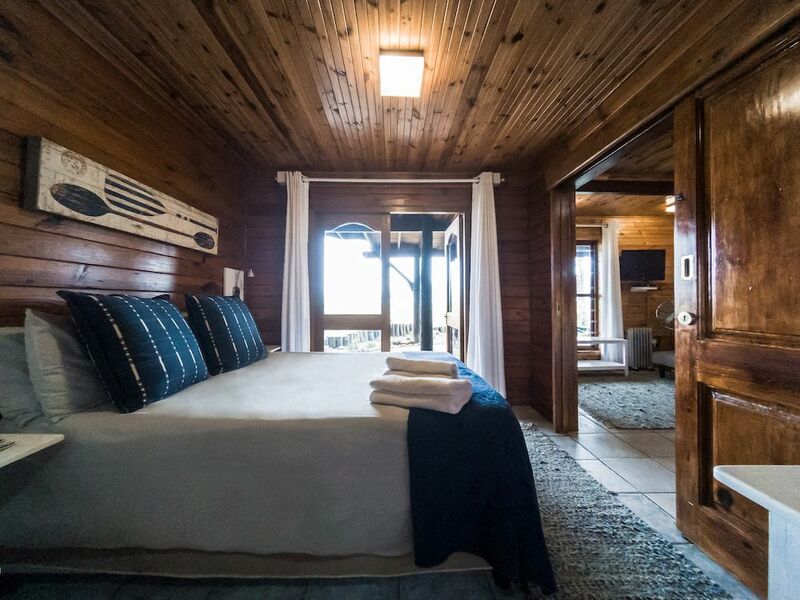 "One the prettiest places I've stayed at"
"Oyster Creek is a gorgeous, rustic wooden lodge with spacious, well-fitted rooms and a phenomenal view from the deck in the mornings. Esther is an absolute pleasure to speak to and makes you feel like you're at home. She cooks an amazing breakfast too! 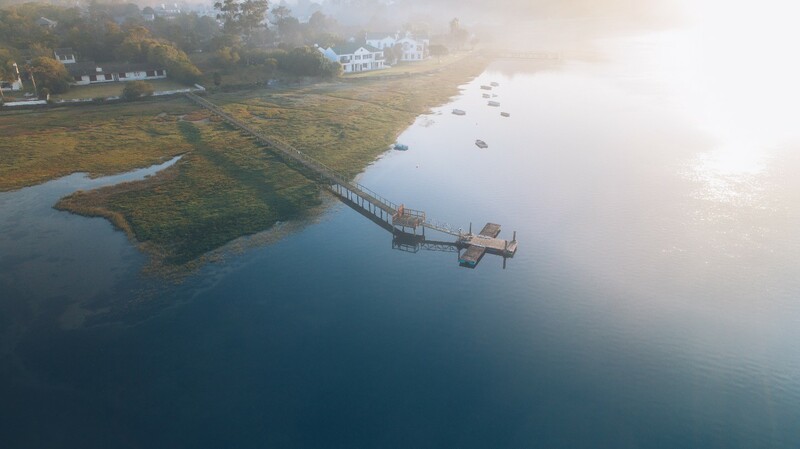 If you're spending a few ..."
If you're spending a few nights in Knysna, you won't go wrong to stay at Oyster Creek." "I will use them again as I was very pleased with the accommodation. It's a lovely place. Recommended." "Great view of lagoon right on the water as advertised. Neat and tidy. Rooms are a bit small for a 4 star rating. Decor a bit outdated. Food was good. Breakfast served at communal table, not my ideal setting, some may like it, I don't." "We had a wonderful stay at Oyster Creek Lodge. 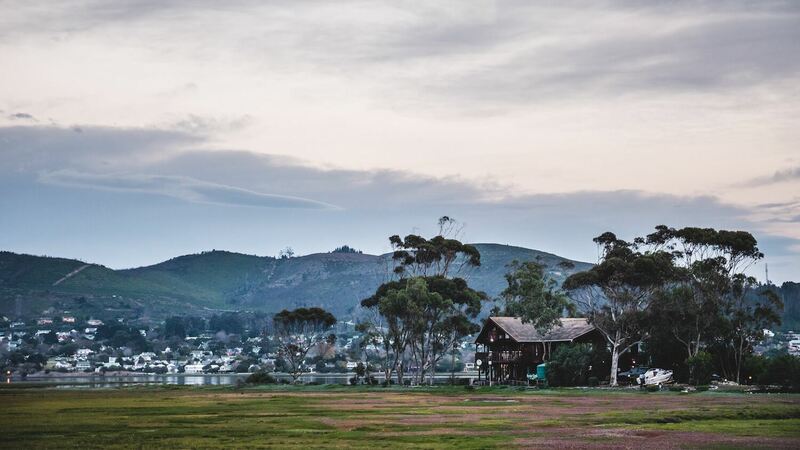 We loved the peaceful views of the lagoon from the self-catering unit and the freedom to roam with our dog straight from our door onto the grassland next to the lagoon. The unit was very clean and comfortable, tastefully decorated and well-stocked. W..."
"We had a wonderful stay at Oyster Creek Lodge. 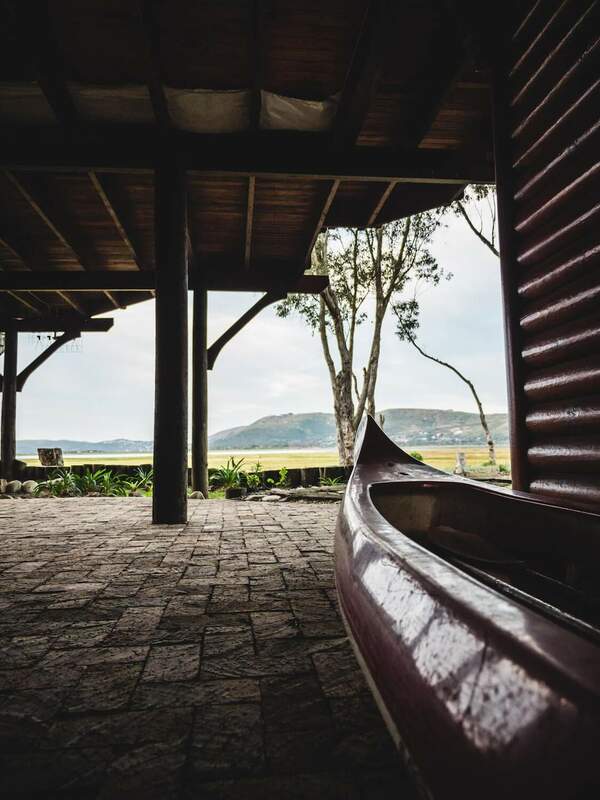 We loved the peaceful views of the lagoon from the self-catering unit and the freedom to roam with our dog straight from our door onto the grassland next to the lagoon. The unit was very clean and comfortable, tastefully decorated and well-stocked. We hope to stay again one day soon." "Please put in airconditioning into the loft area!" "Mooie B&B op een schitterende locatie." "Zeer mooie B&B met een zeer lekker ontbijt. De eigenaars zijn zeer behulpzaam en kunnen je helpen bij het plannen van je tripjes in de regio. Ze zijn zeer goed op de hoogte van waar de mooie plaatsjes in de regio te vinden zijn." "We enjoyed a two-night stay. Overall it was excellent, despite that the room was chilly at night. Also, keep in mind that the lagoon surrounding three sides is not always the case. It depends on the phase on the moon, we were told. At other times, the water is way out in the distance. We'd defi..."
"We enjoyed a two-night stay. Overall it was excellent, despite that the room was chilly at night. Also, keep in mind that the lagoon surrounding three sides is not always the case. It depends on the phase on the moon, we were told. At other times, the water is way out in the distance. We'd definitely stay there again!" "True value for money accommodation!" "We really enjoyed our brief yet WONDERFUL stay at Oyster Creek Lodge! The hosts are very friendly, accommodating and welcoming! Our greatest expectations were exceeded! A big bonus is indeed that the accommodation is so reasonably priced! We got great value for our money and will definitely recommen..."
"We really enjoyed our brief yet WONDERFUL stay at Oyster Creek Lodge! The hosts are very friendly, accommodating and welcoming! Our greatest expectations were exceeded! A big bonus is indeed that the accommodation is so reasonably priced! We got great value for our money and will definitely recommend Oyster Creek Lodge to our friends and make use of their facilities again! 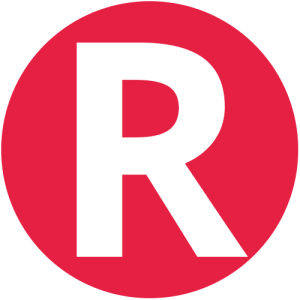 A big thank you to wonderful hosts!" "Very pleasant stay, nice owners, great breakfast, and lovely room." "Lovely property set in a fantastic location. Rooms large and cosy with quality linen and cosy beds. Esther and Colin are great hosts and provide a warm welcome and any help you may need. Breakfast is extremely tasty with a huge choice, from fruit juice to cold meats to a full English..."
Breakfast is extremely tasty with a huge choice, from fruit juice to cold meats to a full English breakfast. Highly recommended." 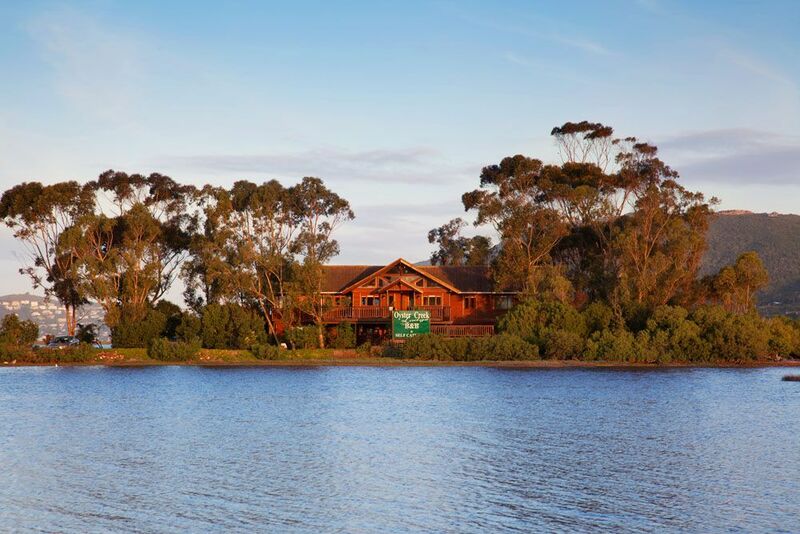 "It is in a stunning setting, right on the lagoon. The staff are very hospitable people. We really enjoyed our stay." "I had a very pleasant stay. The hosts, Clive and Ester, were very friendly and helpful. The lodge was comfortable and beautiful. 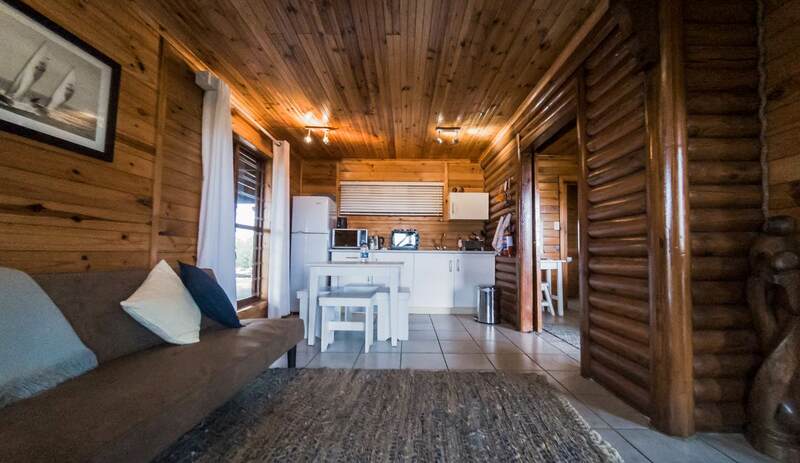 But because it is a log cabin, the sound on wood carries very easily and therefore can come across as noisy, especially if other guests are a little inconsiderate." 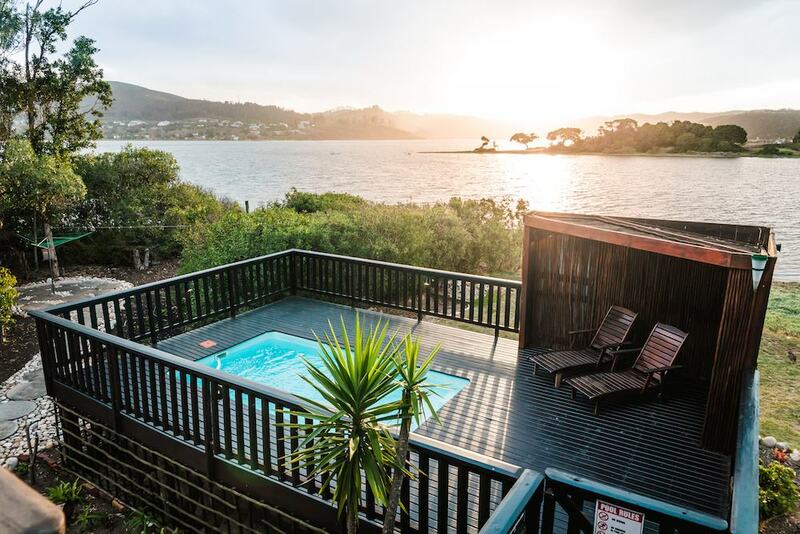 "The upstairs suite which we occupied was delightful - clean, very comfortable, well appointed and with superb all-round views of the Knysna Lagoon from the room and from the surrounding veranda decks. The breakfast was excellent and our hosts, Esther and Clive, were friendly and attentive. 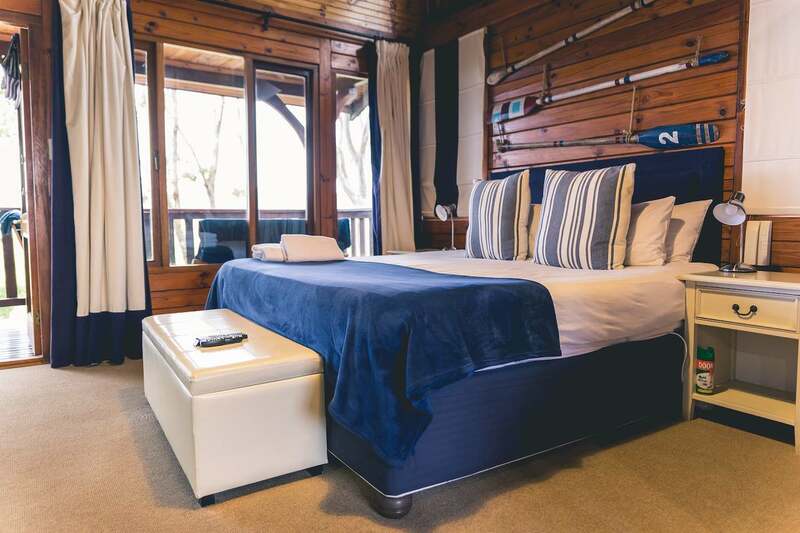 We highly..."
"The upstairs suite which we occupied was delightful - clean, very comfortable, well appointed and with superb all-round views of the Knysna Lagoon from the room and from the surrounding veranda decks. The breakfast was excellent and our hosts, Esther and Clive, were friendly and attentive. We highly recommend this establishment." "We stayed for one night. The space was a bit tight but the flat is so well designed and the setting is lovely. " "I thoroughly enjoyed my stay there, I was a bit anxious about my nine-year old ADHD child, but Esther and Clive made us feel totally at ease. It was definitely a home away from home!" "What an amazing place. I booked for my niece and her boyfriend, theY simply raved about the beauty of the place. They also commented about their stunning room and fantastic breakfast. Thanks for everything, I will definitely recommend to others!" "Had a lovely one night stay at this pleasant accommodation. Our host and hostess were very helpful. The room was on an upper level and it was a little demanding carrying our suitcase up the wooden staircase. That said we had a lovely one night stay. Excellent breakfast." "The Good: Lovely well furnished rooms with a warm wood walls and floor, very friendly service and decedent breakfast, best omelet I had in years. Enjoy the enormous bath and I really appreciated the efforts in having a bottle JC on a last minute call. The scenery was also amazing in the morning hour..."
"The Good: Lovely well furnished rooms with a warm wood walls and floor, very friendly service and decedent breakfast, best omelet I had in years. Enjoy the enormous bath and I really appreciated the efforts in having a bottle JC on a last minute call. The scenery was also amazing in the morning hours. The Bad: The guest house is near the N2, although this did not bother me at night I was up really early with a truck's exhaust break. The sound travels well through the wood walls and hearing the person next door was not to cool." "It was indeed a lovely place to stay. The hospitality of our hosts was extraordinary. It was like staying in a nature reserve and a magnificent place for bird watchers." 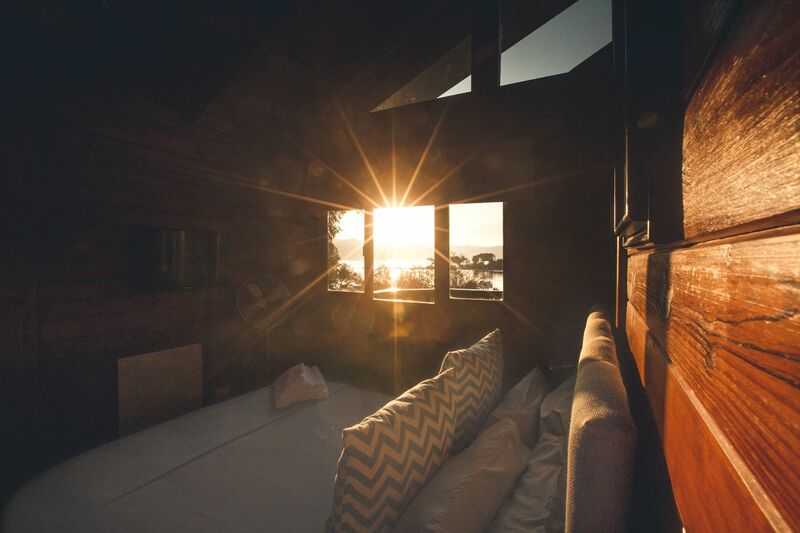 "The room my husband and I had was superbly appointed, lovely views. My daughters room was fine but a bit hot although a fan was provided.The lodge is in a stunning location looking over the lagoon but traffic noise at the back of the property is quite noisy. 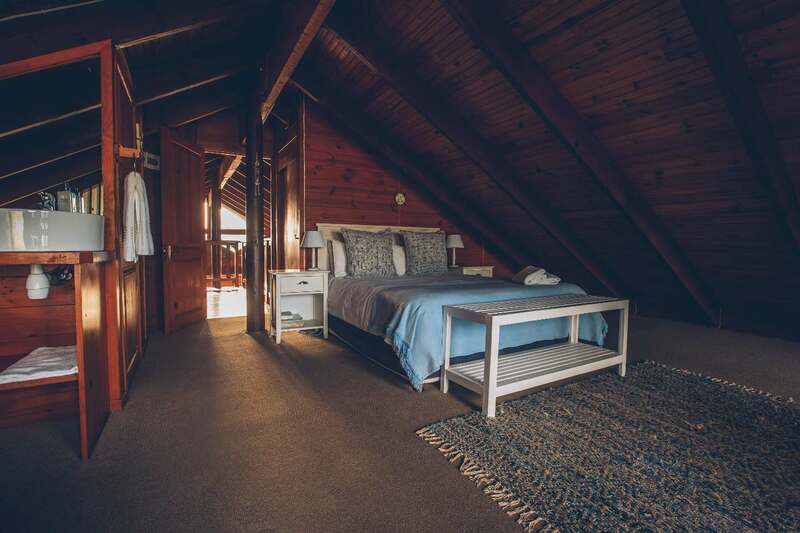 Quaint arrangement in that all the bedroo..."
"lovely setting and very helpful friendly hosts"
"Good B&B with excellent views of Knysna"
"good B&B - friendly hosts, lovely room, within driving distance of town. " 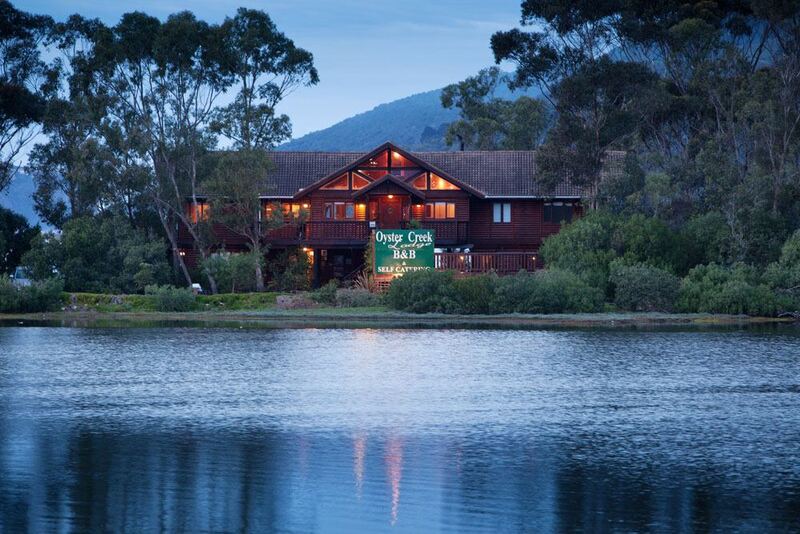 "We had the most wonderful time staying at the lodge. The hospitality of Clive and Esther was exceptionally welcoming and the breakfast was a fantastic way to start the day - Jon even started eating omelettes again which he has not done for years....all thanks to Esthers cooking!!! It was just the ..."
"We had the most wonderful time staying at the lodge. The hospitality of Clive and Esther was exceptionally welcoming and the breakfast was a fantastic way to start the day - Jon even started eating omelettes again which he has not done for years....all thanks to Esthers cooking!!! It was just the perfect quiet retreat after the bustle of Cape Town. Thank you." "Amazing place - location, view, hospitality and accommodation"
"We had a great time here. No one else except the hosts and a lot of birds were around! Very clean place, and very few bugs! Very surprising for a place that is so close to a lagoon! The view was brilliant and the sunrise was worth waking up for! Lots of cranes, stalks, seagulls and o..."
The hosts were very friendly and the accommodation was brilliant! Had an amazing time here! Thank you to both!" "Sorry it was just for one night"
"The perfect place for a quiet get away!" " The hosts were very friendly and made us feel right at home. Thank you. The only problem was that our stay was much to short! Well done on a wonderful establishment! " "The most beautiful place i«ve ever seen! "Esther and Clive are very very friendly and the hospitality by both are exceptional! They are very approachable and easy to talk to. The facilities are outstanding and of the highest standards. We will definitely be staying over again!" "Pleasant stay at Oyster Creek"
"Esther and Clive are fantastic hosts and our time at Oyster Creek was for the most part incredibly enjoyable and relaxed. I would definitely recommend this B&B to all my friends." "It was the perfect balance of a great B&B. Great position in the town." "Stay was peaceful, we had being staying at family run b&bs this one was manager run we could tell somehow, although they where very nice people. We would stay again if in the area." "We thoroughly enjoyed our stay at Oyster Creek and would definitely stay there again and also recommend it to others. Shame the builders were there at the same time, but they have to go in to do their job and we appreciated that fact. It really did not spoil the overall feel of the place and Esthe..."
"We thoroughly enjoyed our stay at Oyster Creek and would definitely stay there again and also recommend it to others. Shame the builders were there at the same time, but they have to go in to do their job and we appreciated that fact. It really did not spoil the overall feel of the place and Esther and Clive were extremely good hosts!" "Our stay at Oyster Creek was very pleasant and memorable and we would definitely like to visit again "
Thank you so for making our stay with you so memorable, we thoughly enjoyed ourselves. The accommodation was outstanding which enabled us to feel ' at home ' and relax for the 4 days that we were with you. We loved Knysna and have such wonderful memories... boring everyone with the photos al..."
Thank you so for making our stay with you so memorable, we thoughly enjoyed ourselves. The accommodation was outstanding which enabled us to feel ' at home ' and relax for the 4 days that we were with you. We loved Knysna and have such wonderful memories... boring everyone with the photos already !! Kind regards, Liz Pete, Sue & Keith"